The BT Smart Home Cam 100 is the perfect gift for someone who loves gadgets and who wants to feel their home is secure. The BT Smart Home Cam 100 is a wi-fi video monitoring system that allows you to stream video remotely. This means you can stay connected with people, places and pets wherever you are. It allows you to keep an eye on your home when you are not there so you have the peace of mind your home and loved ones are safe. Whether you are at work, at a friend’s house or even on holiday, you can view your home in seconds. 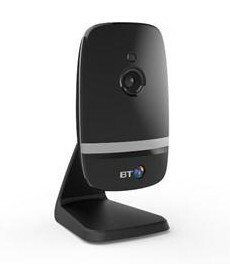 The BT Smart Home Cam is very simple to use. You can set up the BT Smart Home Cam video stream by downloading the free iOS or Android app, plugging in your Smart Home Cam and pairing the camera to your router, phone or tablet. You can then access the video stream via the app or web portal, all you need is an internet connection on your device. Night vision is also available and a 93 degree field of vision so you will never miss a thing. The app also gives you the ability record or take images, alter the camera settings and invite friends to access your video stream, You can even link the app to multiple cameras to view video from different locations. A great feature of this Smart Home Cam is that it has a motion detection feature. You need to decide what motion will set off the monitor and then you will be sent a notification if the monitor is set off. The Smart Home Cam also lets you store images and videos securely on your device. This is simple to do and allows you to share them with friends or family. One feature I loved about the Smart Home Cam is that it has no cables as it works via wi-fi. This means you will not need unnecessary cables running through your home and you can place it anywhere you want. The BT Smart Home Cam 100 is a fantastic gift for gadget lovers and will allow the recipient to feel their home is secure. The RRP is £70.00 and it is available from www.shop.bt.com.